How Difficult To Buy Surface? Turns out, Microsoft’s Surface 2 tablet/laptops are more popular than we all thought. Website TechCrunch recently wrote a feature story about the struggles consumers are facing in trying to find the devices. According to the story, in early January of this year you couldn’t even buy a Surface 2 on Microsoft’s own online store. Why is it so hard to find a Surface 2? 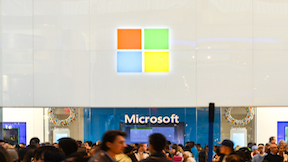 TechCrunch cites a report by the Huffington Post suggesting that Microsoft cut down on production of the devices, underestimating the demand for them. Then, when that demand actually rose, the company didn’t have enough of the hybrid devices for the holiday season or the selling period immediately following. The Surface line got off to a shaky start, with many critics saying that the product wanted to be too many things to too many consumers. But slowly the device has been catching on with both consumers and the tech press. That’s partly because the device combines the best features of both a laptop and tablet. For instance, it’s easy to type on a Surface 2 because of its keyboard. But the device is still portable like a tablet. When the Surface 2 devices are once again available to buy, should you invest in one for your business? Tech critics have pointed to the Surface 2 as being particularly well-suited to the office. After all, there’s that comfortable keyboard that allows employees to get work done. And with the portable nature, your workers can comfortably tote a Surface 2 to hotels and airports while traveling for business.